Be creative! Stop using only horizontal or vertical text. 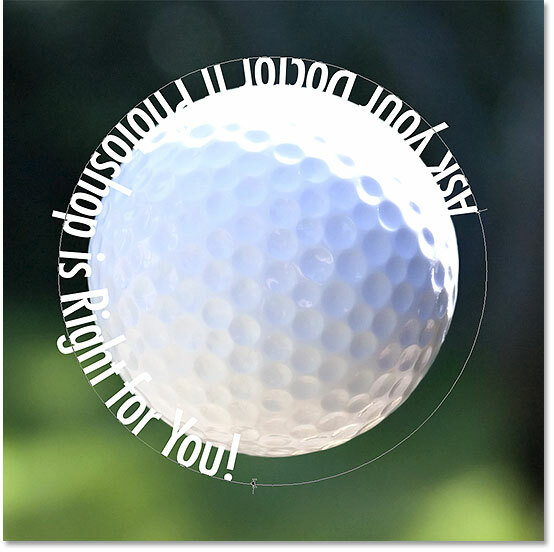 Instead, use Photoshop CC to wrap text along a custom shape. This will make it curve along the path to produce an interesting design. Try it! Open a new document in Adobe Photoshop CC. 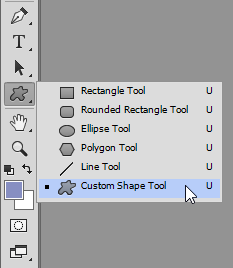 Select Custom Shape Tool from the Tools panel. Choose Path from the Options Bar. Click the Custom Shape arrow on the Options bar. Pick Path and then select a custom shape. Select a custom shape. Pick a shape with a simple outline. Click and drag to draw a shape. To add text, click the Horizontal Type Tool. From the Options bar select a font, style, size, and color of the text. Set the size to 12. Format the text using tools on the Options bar. Move the mouse pointer over the edge of the shape. 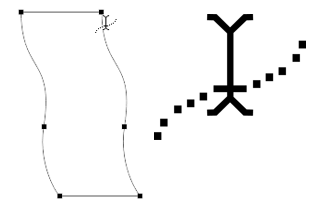 The pointer changes to an I-beam with a wavy line. Click on the shape border in the spot where you want to start adding text. Click on the edge of the shape. Type and the text will automatically wrap around the shape. 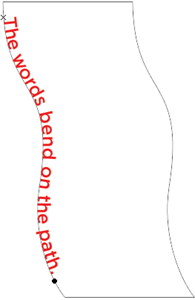 Type and the words bend along the shape path. Select the Path Selection Tool from the Tools panel. Drag the mouse pointer over the text to move it along the path AWAY from the END POINT. Drag the text along the path of the shape. 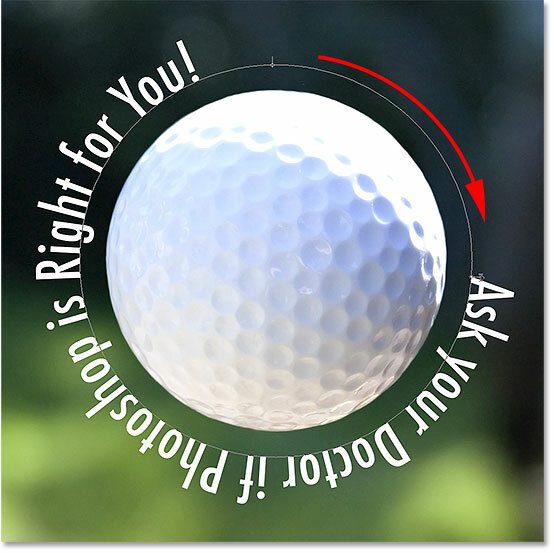 Drag the mouse pointer ACROSS the path of the shape to flip the text and reverse it. Drag across the shape border to make the text move to the inside. Make the Text Look Great! Format Font: Select the Horizontal Type Tool. Click and drag to select the text. Use the tools on the Options bar to make changes. 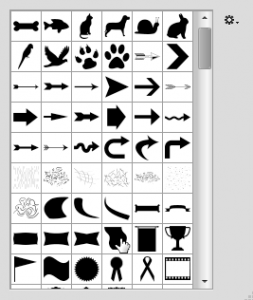 Position Text: Select Path Selection Tool from the Tools Panel. Drag the START and END points to change the location of text. Adjust the Size of the Shape Path: Select Move Tool from the Tools Panel. Drag a control point to increase or decrease the shape. Grab the Start Point: If you are having trouble moving the text, drag the START point instead of the letters themselves. Do you like using Photoshop CC? There are many fun and easy activities in TechnoPhotoshop . Lessons include digital worksheets for middle and high school students. – Christa Love has a passion for education and technology. A graduate from Brock University she has an Honors Bachelor of Arts in Child Development, Bachelor of Education in Primary and Junior divisions, and Masters of Education in the area of Curriculum Studies. Her work at TechnoKids Inc. began more than twenty years ago as an instructor at a local learning center. Since that time she has operated the summer camp program, taught at the research and development center at John Knox Christian School, trained educators throughout the province on issues related to technology integration, and overseen the curriculum development of hundreds of technology projects. In recent years, Christa has become the vice president of TechnoKids Inc. 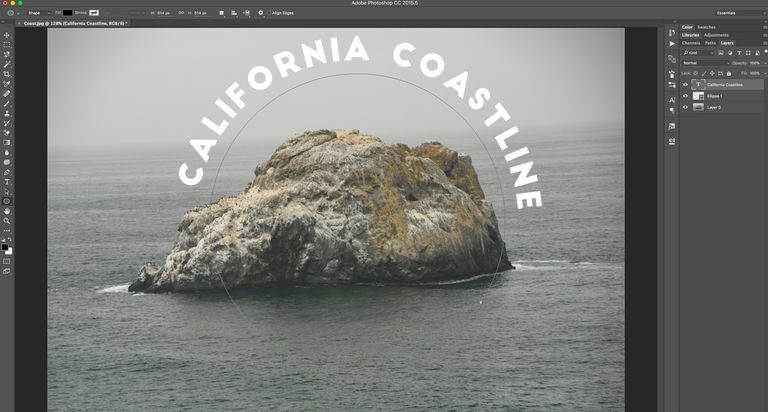 In this tutorial, we’ll learn how to add type along a path in Photoshop! 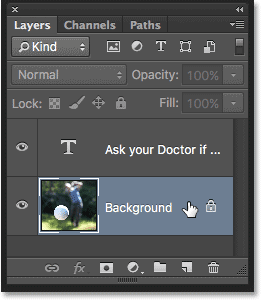 I’ll be using Photoshop CS6 here but this tutorial is also fully compatible with Photoshop CC. If you’re using Photoshop CS5 or earlier, you’ll want to check out the previous version of this tutorial. To add type to a path, we first need a path, and Photoshop gives us several ways to draw one. We can use a basic shape tool like the Rectangle Tool or the Ellipse Tool, we can create a path from custom shapes, and we can draw a freeform path using the Pen Tool. How you draw your path makes no difference as far as how we go about adding text to it because a path is a path no matter how it was created, and the steps for adding type to a path are always the same. Let’s see how it works! As I mentioned, the steps for adding type along a path are the same no matter which tool you used to create the path. So for this tutorial, we’ll keep things simple. 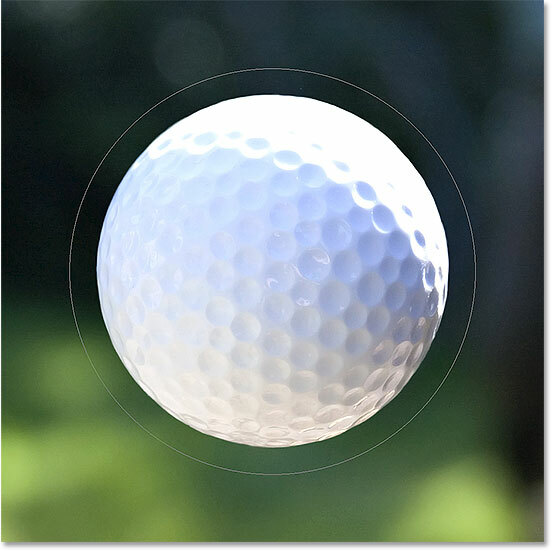 To draw a path around the golf ball, I’ll use the Ellipse Tool, one of Photoshop’s basic shape tools. You can learn more about drawing shapes in our How To Draw Vector Shapes in Photoshop tutorial. 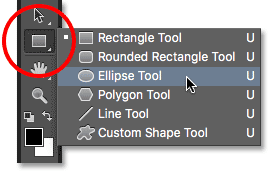 Selecting the Ellipse Tool in the Tools panel. Step 2: Change The Tool Mode To "Path"
Changing the mode for the Ellipse Tool to Path. 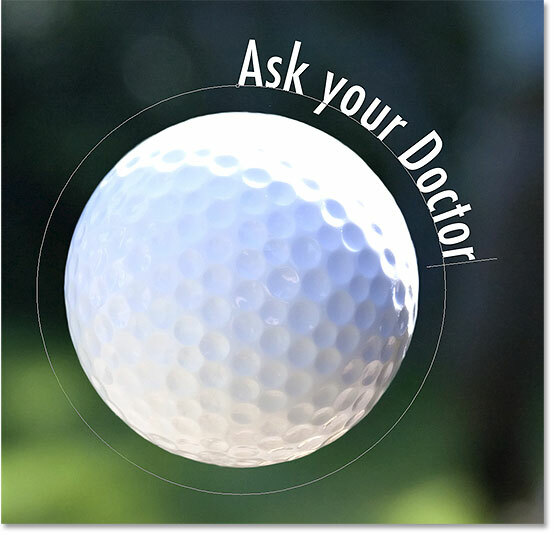 To draw the path, I’ll click and hold my mouse button down in the center of the golf ball. Then, I’ll press and hold Shift+Alt (Win) / Shift+Option (Mac) on my keyboard and begin dragging outward from the center. Holding the Shift key down as I drag with the Ellipse Tool forces the shape of the path into a perfect circle, while the Alt (Win) / Option (Mac) key lets me draw the path outward from the spot where I clicked. I’ll continue dragging outward from the center until the path is large enough to surround the ball. 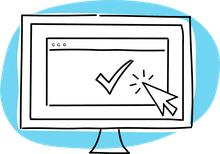 If you need to reposition a path as you’re drawing it, press and hold the spacebar on your keyboard, drag with your mouse to move the path into position, and then release your spacebar and continue drawing. 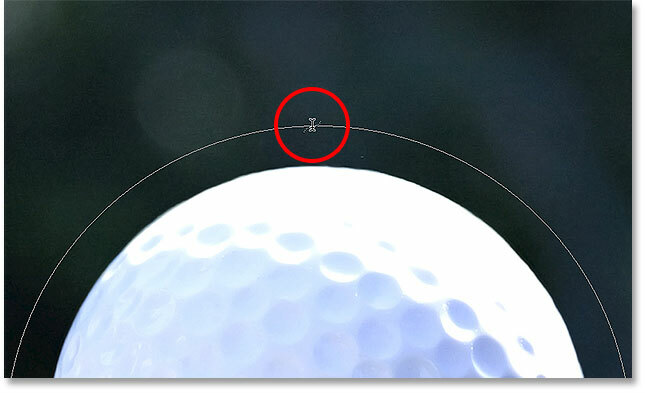 A path has been added around the golf ball. Setting the font options in the Options Bar. The Text Alignment and Color options. The dotted wavy line tells us we’re adding text to the path. The text is flowing along the shape of the circle. The text is following the path but needs to be repositioned. Switching to the Path Selection Tool. Move the Path Selection Tool over your text, then click and drag it along the path. Dragging the text too far resulted in the end being cut off. Look for a small circle where the text gets cut off. Dragging the circle clockwise along the path to reveal the end of the text that was cut off. Dragging across the path flips and reverses the text. Depending on the effect you’re going for, flipping and reversing the text like this may be what you wanted to do (it’s actually a feature, not a glitch). But if you didn’t do it on purpose, simply drag back across the path with the Path Selection Tool. Your text will flip back over to the original side, and it will revert back to its original direction. Select any layer other than the Type layer to hide the path in the document. Keep in mind that even though we’ve added the type to a path, Photoshop has not done anything fancy with the text itself. It’s still just text, which means you can go back at any time and edit it, or completely change it if you need to. You can choose a different font, change its size or color, adjust the leading, kerning or tracking, the baseline shift, and anything else you can do with regular type! And there we have it! That’s how to easily add type along a path in Photoshop! For related tutorials, learn how to transform type with Smart Objects or how to apply Smart Filters to editable type . Or visit our Photoshop Basics section to learn lots more about Photoshop! 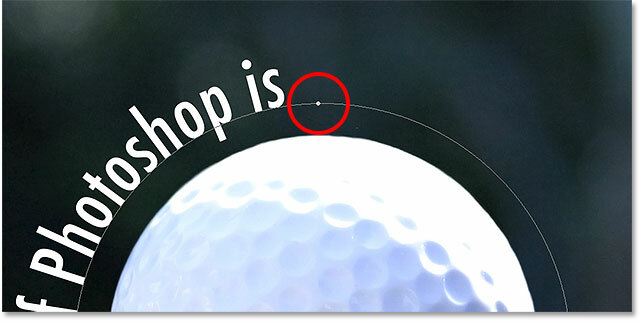 Putting text on a path is a very common technique in Illustrator but one that is commonly overlooked when it comes to working with Photoshop. 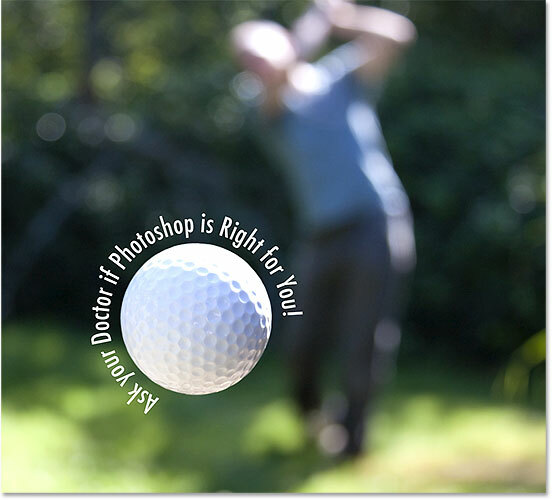 Yet, this technique has been around since Photoshop CS , when Adobe added the capability to the popular image-editing software. Besides being a handy technique to add to your skill set, putting text on a path around an object is a great way of drawing the viewer’s attention to the object. The best part of this technique is that you aren’t limited to shapes. You can create the paths for the text using just the Pen tool. Select the Pen tool or one of the shape tools — Rectangle, Ellipse, Polygon or Custom Shapes — under Tools. 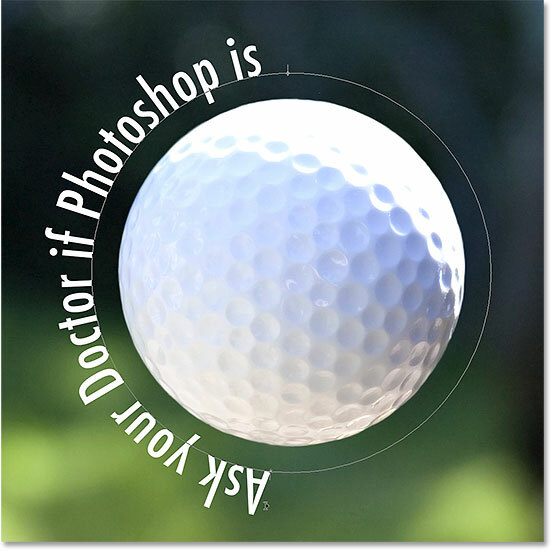 If you’re following the example above, start with the Ellipse Tool and, holding down the Option/Alt-Shift keys, drag out a perfect circle over the rocks. In the Properties Panel , set the Fill color to None and the Stroke Color to Black. Select the Text Tool and place it on the shape or path. The text cursor will change slightly. Click on the path, and the text cursor will appear on the path. Select a font, size, and color. Set the text to Align Left. The example here uses a font called “Big John.” The size is 48 points, and the color is white. To reposition the text on the path, select the Paths selection tool (the black arrow under the Text tool) and move the tool over the text. The cursor will change to an i-beam with an arrow pointing left or right. Click and drag the text along the path to get it into position. As you drag, you may notice the text is cut off. This is because you are moving the text outside of the visible area. To fix this, look for a small circle on the path, When you locate it, drag the circle farther along the path. 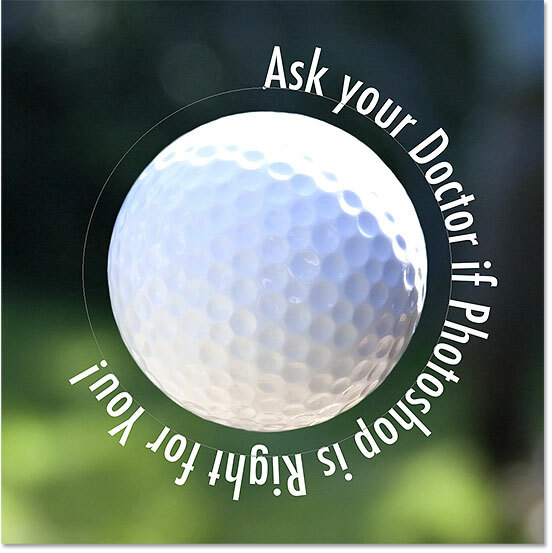 If the text flips inside the circle and looks upside down, drag the cursor above the path. If you want to move the text above the path, open the Character panel and enter a Baseline Shift value . In the case of this image, a value of 20 points is used. When everything is where it is supposed to be, switch to the Path Selection tool, click on the path and, in the properties panel, set the Stroke color to None. Create a path using the Pen tool. Use the path selection tool or the Move tool to move the whole path with type attached. Use the direct selection tool to change the shape of the path. If you have created a closed shape such as a circle or a square, you can make the type wrap inside the shape to conform to its shape. The process is essentially the same as creating type on a path, but instead of clicking the cursor on the outside of the path, move the cursor inside the path and click when it changes to an I-beam with a dotted circle around it. All of the type tools work with type on a path or type in a shape. Your text is fully editable, and though it may appear jagged on screen, it will print just fine. To edit your text, double-click the T icon for the type layer in the Layers palette and use any of the editing functions in the Options bar, Character palette or Paragraph palette. 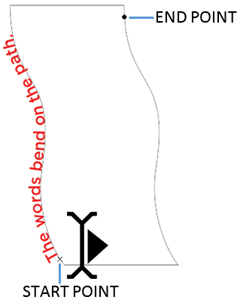 You can even wrap text on a path or in a shape, but both the type and the path will be warped. If you need to change the text, simply select the Text layer, switch to the Type tool, select the text, and enter the change.